sweet potatoes | We RUN USA !!! The local Farmers Market season kicked off April 5 an the selection of fresh veggies has been improving and growing each week. This week I focused on greens and roots. Mixed baby greens and kale- that went into salads and soup. And a couple bags of onions (yellow/green) , potatoes and sweet potatoes . I plan to enjoy these in a variety of ways over the next 10 days but Sunday morning after church I was in the mood for baked beans ( frozen – homemade 3 weeks ago). So i decided to have potato “chips” baked in the oven with some onion and parsley. 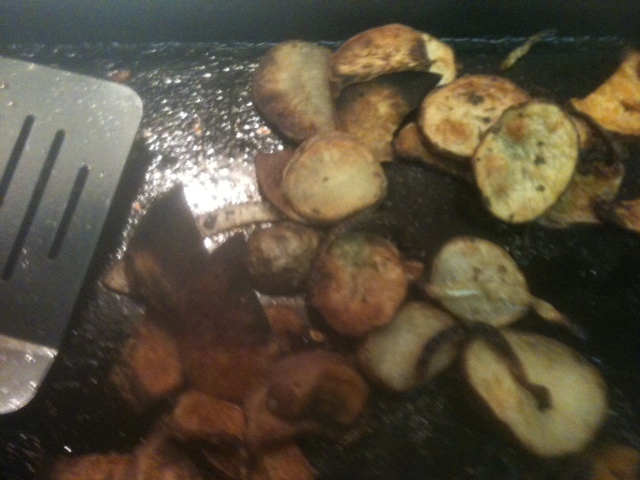 – I sliced the potatoes (yukon and sweet) in thin chips. 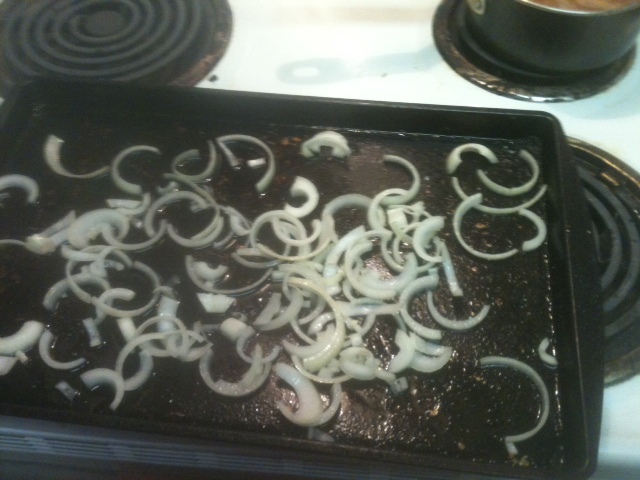 -Then spread a nice olive oil on all of the chips and a light dusting of sea salt. 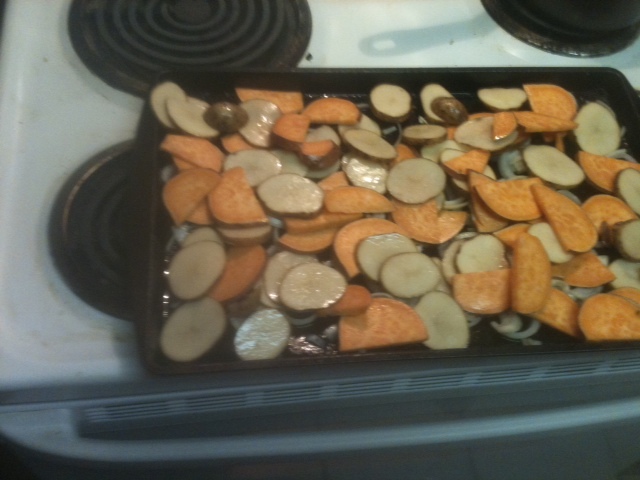 -Roasted in preheated oven at 425 for 55 minutes.- turning the chips after 35 minutes. Roasted Chips ready for the baked beans ( and hockey game). The chips tasted great alone but were tremendous with 3 bean baked beans made with molasses and chili peppers in February. A filling and healthy Sunday afternoon meal.